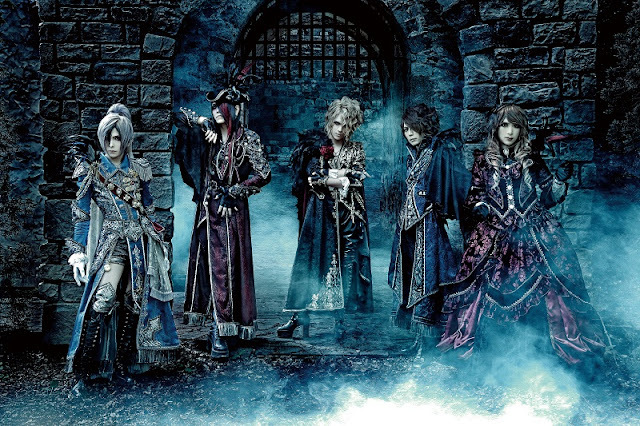 VERSAILLES Announce European Tour! | VKH Press – J-Rock & Visual Kei Coverage Worldwide! Home / News / Tours / Versailles / VERSAILLES Announce European Tour! 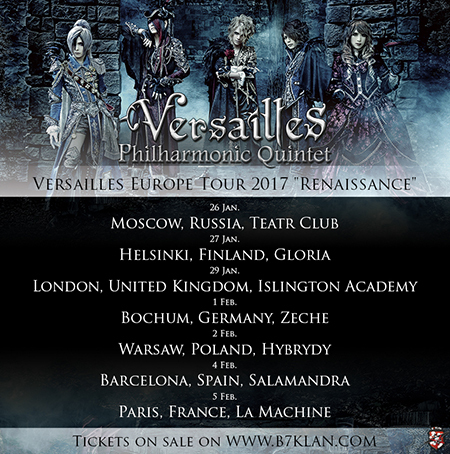 After their reformation this year, VERSAILLES have announced a European tour to kick-off their overseas activities! European fans can enjoy their concerts in January, 2017 while they tour 7 different countries. VIP and General Admission (GA) tickets will be available. GA will include normal access to the show, while VIP grant attendees early access to the venue and a limited Versailles Renaissance metal bracelet.